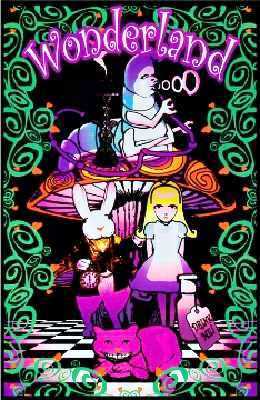 The hookah smoking caterpillar really comes alive in this black light poster. Measures approximately 24" x 36". This poster will look great on your wall with or without a black light.